This feature article was contributed by Annella Mendoza. In the course of conducting business, some organizations eventually produce or acquire digital files. Digital technology is now commonplace, and therefore it is equally important to know the nature of digital files or digital objects and how they are best handled or managed. As digital files accumulate in the possession of an individual or an organization, a process of selection and assigning value takes place, whether it is done intuitively or consciously using set rules. The value attached to digital files is a major characteristic which can turn these files into performing assets. In his article Defining Digital Assets, Ralph Windsor posits a universal or more inclusive definition of the term ‘digital assets’, as “…a collection of binary data which is self-contained, uniquely identifiable and has a value.” As the digital world continues to evolve, reaffirming this fundamental definition is critical to establish common ground among those who depend on digital technology for their day-to-day work. “Defining Digital Assets” will be referenced several times in this article. There are various types of digital assets. 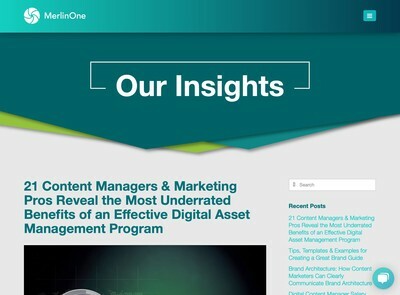 This article focuses on the content digital assets such as images, video, and documents. The accumulation of content digital assets might get organized as a library or archive. Within it, the requisites for assigning values were borrowed from archive principles of selection and appraisal. In this article, determining values, digital migration requirements, and considerations for heritage institutions are presented on a conceptual level. Operations and methodologies are not within its scope. Defining Digital Assets, means [its] “intrinsic value represents the primary or fundamental reason why someone would want to acquire the digital asset…. For content digital assets like a company logo, photo, video or document, it is the binary data which is used to allow the visual representation (or text in the case of a document) to be viewed.” One might consider that physical properties of the asset as part of intrinsic value, specifically at the time of creation as originally intended by their creators. As the collection of digital assets builds up, a process of selection and assessment of individual asset values is always on-going, either intuitively and up to the level of developed policies with standards and procedure. Heritage institutions and other collecting bodies are traditionally aware of the need for selection and assessment (sometimes called “appraisal”) and consider them as core functions. Media organizations and creative institutions have likewise formalized their own rules determining the value of their collections. Ray Edmondson, in his article Broadcast Archives: Selection and Priority Setting, affirms that the twin workings of selection and priority setting are constantly happening. This condition may especially be true with media and creative agencies where there a non-stop, continuous cycle of creation, distribution, archiving, and removal of digital assets – all occurring simultaneously, more so within a DAM system. Over time, decisions resulting from the selection and priority setting develop into policies and standards based on business needs and precedents, the specific organization’s mission, historical / cultural significance, and resource allocation. Selection criteria can therefore be refined or made more granular. Priority setting defines the urgency of work to be done and resources to be allocated. The history of some organizations not dedicated to managing heritage collections suggests that the selection and priority setting of their records or assets are not given importance until much later as the business matures. Ideally, the values of assets should be given serious consideration from year 1 of the business, in order to minimize asset loss. The paradox of digital assets – easily replicated and shareable, but more vulnerable to loss (i.e., accidental deletion), file corruption, multiple storage locations, sometimes not easily retrieved – makes it more imperative to determine even a basic criteria to assign value. Doing so allows the asset owners and its custodians to adopt a strategy for the assets’ continued life and as an investment guarantee. By assigning values, the organization can decide and adopt policies for organizing, conscientious care, and allocation of resources (technical and human) to maintain these assets. 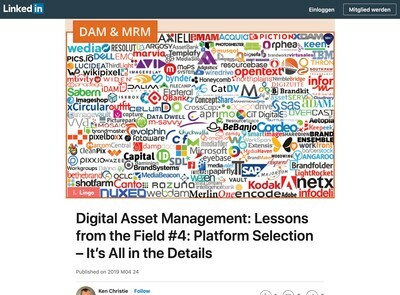 High value digital assets become a major factor especially in the migration of assets to a Digital Asset Management (DAM) system. Determining the digital assets of high value is preferably undertaken as an organization-wide consensus. The criteria for the designation High Value digital assets should be developed as a collective effort and accepted by all concerned. These are some considerations to validate the intrinsic value of digital assets created or acquired. They are derived from archival preservation concepts which (as expected) take the long-term view. The physical (sometimes called “technical”) properties should be given serious attention. The first release or publication of a digital asset is an indication of the original intent of its creation. The original asset can be considered the master file from which other files may be copied, rendered or transcoded into various other versions. These variations or versions may have different physical properties suitable for other purposes. It is recommended that the original or the master file be the best quality possible, usually of higher resolutions. It is usually better to down-convert and retain, for example, the desired clarity of images and sound, from a higher resolution original. Up-converting from a “low-resolution” digital file to a high resolution may not always achieve desired technical qualities. 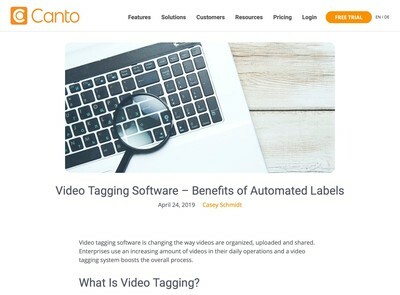 Tagging or labeling the digital assets indicating that they are of high value. Updated knowledge on digital file corruption through skills upgrade or consulting with experts. Digital elements which have formed part of the digital work are digital assets themselves – such as photos which have become part of a video; original music recordings which served as background or theme music; unedited video, especially those difficult-to-obtain images – parts of which were used for the finished work. For media and other creative institutions, much of these raw elements are assigned high value status because of their re-use and repurposing potential. My experience working with media organizations, is that they save these elements that usually comprise the highest percentage of the high value asset collection. The extrinsic value of the digital asset is expressed in the associated metadata of the asset. Those assigned with the responsibility of metadata maintenance will necessarily be more conscientious of the completeness and accuracy of the metadata of high value digital assets. It may be stating the obvious but high value digital assets should ideally have complete metadata, likely more than the “regular” digital assets. The migration process provides the opportunity to review, clean-up, and enhance metadata where needed. Metadata is added value and should guarantee the findability of the digital asset. The migration process can be complex. 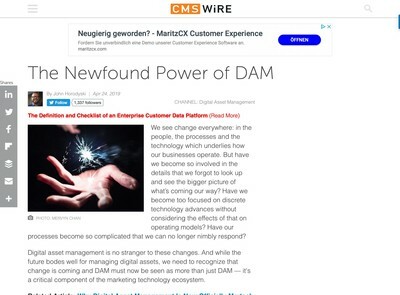 As users of a new DAM system adjust to new ways of working, it can be expected that comparisons between old and new systems will be made, sometimes not favorable to the new. The documentation should explain or bridge the gap between old and new. Documentation can be as simple or as complex as it needs to be an effective reference on how and why changes were made. The backup digital assets and associated metadata, together with their location and retrieval, are critical to the recovery of the master digital assets should events or conditions threaten their existence. For some, backing up all the digital assets may not be possible. If so, then backing up the high value assets addresses concerns when scenarios such as losing entire collections become very real. There are discussions on continuing to maintain a basic level of the legacy system after migration is completed. That basic legacy system should at least be capable enough so that the recovery process can be carried out. Maintaining legacy systems can be more feasible if they will operate only on the high value assets. For example, the sum total of the high value assets relative to the entire digital asset collection may be as little as ten percent. Libraries, archives, and museums have traditionally collected material objects and documents in traditional carriers such as paper. Museums have also maintained monuments and sites. This section is being added to address some basic questions on the need for these collecting bodies to add virtual or digital collections to their holdings. What is the place of digital assets in these institutions? Are they secondary in the hierarchy of collections? It may be more relevant to agree on the premise that digital collections have their usefulness. To their advantage, these institutions have used digital technology to increase the value of their traditional collections through virtual public access – developing digital exhibits, or other presentations where the material objects cannot be experienced directly. The Smithsonian, for example, has maximized the use of digital representations as having “the best of both worlds” in fulfilling its research and educational mandate. Digital assets may develop into potential high value collections as documentation of what Unesco termed as the Intangible Cultural Heritage or living expressions such as: “oral traditions, performing arts, social practices, rituals, festive events, knowledge and skills to produce traditional crafts”, still practiced by real communities. One of the most recent efforts using digital technology – and with it, the production of potentially high value digital assets – is the documentation of the restoration of the ancient Syrian city of Palmyra. In this article and series of videos from CNN, one sees the restorative repair of sculpture pieces, or the 3D printing of a previously destroyed temple arch. These efforts remind present and future generations of what Palmyra represents. The ability to replicate these efforts makes it necessary to collect and preserve the digital assets of the research and documentation of these restoration efforts. Ralph Windsor cautions that digital assets “may not necessarily translate into cash revenues.” Nevertheless, it remains essential that the values of digital assets be determined even if monetizing these assets is not readily feasible. Organizations have shown other benefits like cutting production costs, streamlining workflows, or adding value to traditional material collections. Heritage institutions have demonstrated the advantages of determining the digital collections’ place among the traditional material objects preserved. As digital technology continues to evolve, its adherents will find long-term values to digital assets.